We placed the above “It’s a…” photo and a sealed envelope inside of a bigger envelope. When they opened the big envelope – OH, THE SUSPENSE! – they only saw the “It’s a…” photo, and they had to open yet another envelope to see the actual news. Because I’m delightfully mean like that. Oh, you want to know the gender too? The lighting/coloring of these pictures looks really weird on the blog, but there you have it. 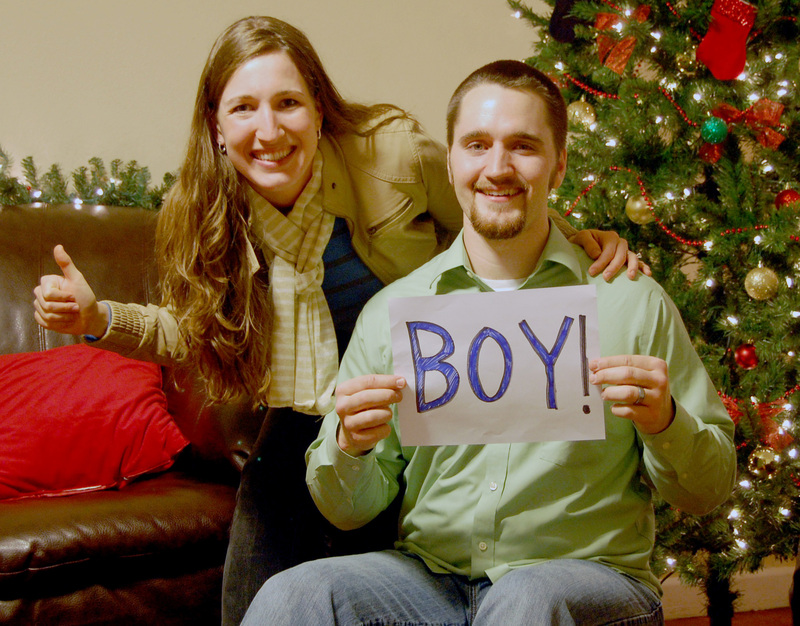 We’re having a boy! And because it’s a boy, we now have to come up with a name (we had our girl name all picked out). 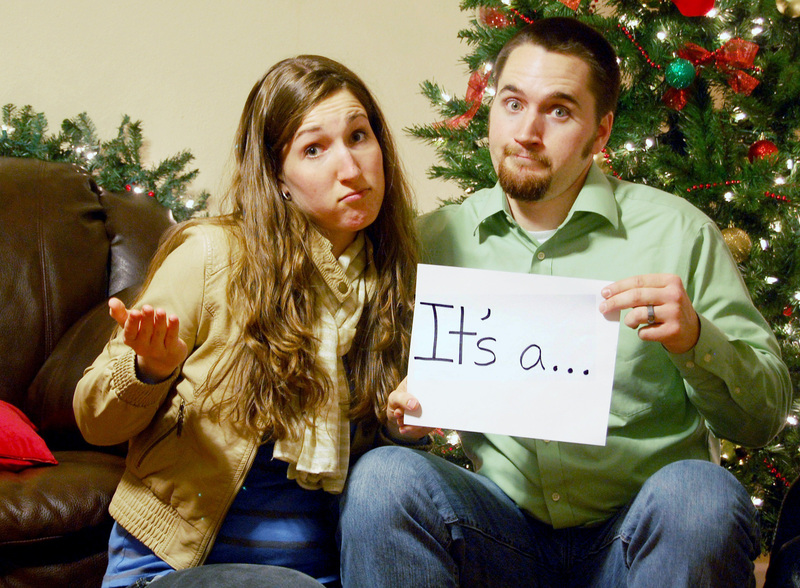 We’re so excited to finally know, and we get to call him a HIM now instead of an “it”! Fear not. We’ll be back to our regular programming of recipes eventually. Yay!!! 😀 Boys are awesome! Aww I love how you announced it to your families- too cute! And congrats!! I was thinking it was a boy before I even scrolled down, just because you were wearing a blue shirt! hahaha! YAY!